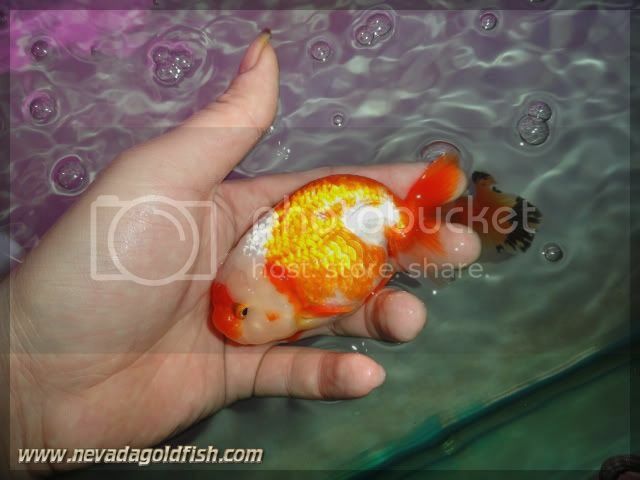 RAN039 is Red-white Ranchu with white head which looks beautiful at those pattern. This goldfish is pretty when we view her on sideview or topview. 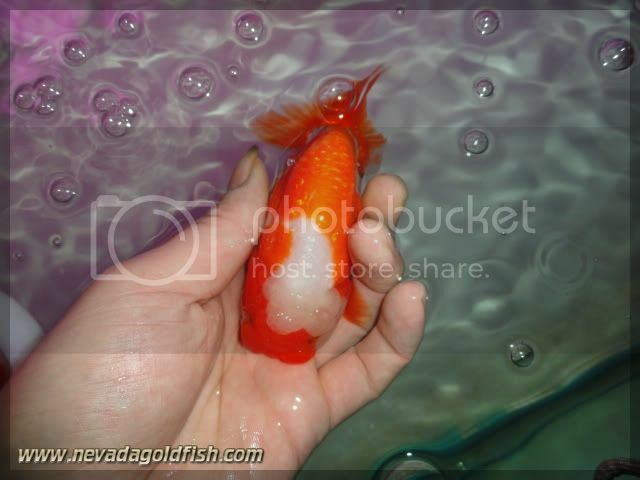 This is the typical of Chinese Ranchu.